It keeps getting better and better. 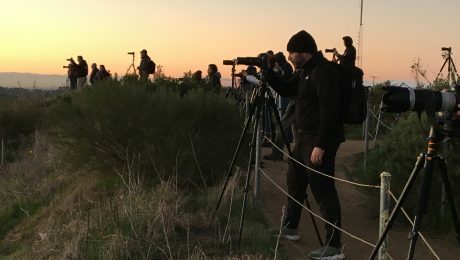 Our latest meet was held last Sunday at Point Vicente in Palos Verdes, and it was our biggest one yet. 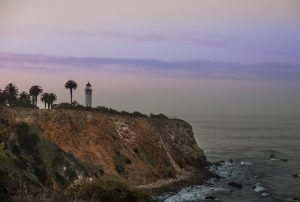 Located along the Palos Verdes Peninsula, the Point Vicente Interpretive Center was our meet-up spot. 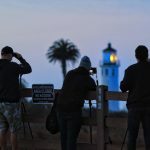 Sitting atop the rugged cliffs, it offers spectacular views of the Pacific Ocean as well as the Point Vicente Lighthouse, the main subject of interest. 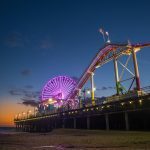 In the wee hours before sunrise, our guests began pouring in, tripods in hand, ready to capture one of LA’s most scenic views. Some of them driving from as far as San Diego. 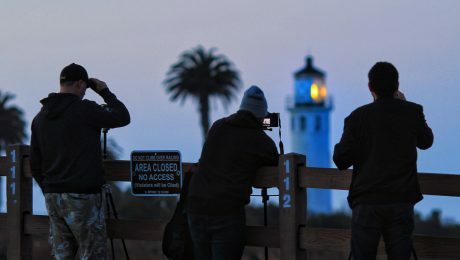 The air was brisk but not cold with an amazingly clear view of the lighthouse as it’s light gleamed brilliantly against the deep blue pre-dawn sky. As the sky grew brighter, the clouds did not disappoint as they provided just the right background texture. And that’s not all. Donut Street Meet is proud to announce our new partnership with sponsor People’s Choice Beef Jerky. They supplied us with enough product for all of our guests to take home. Thanks, People’s Choice. As always, donuts were on-hand for all to partake. Why do people love Donut Street Meet? 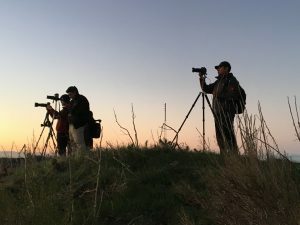 For one, there is absolutely no traffic when traveling to our sunrise events. Also, there no crowds to interfere with your photos. So if you’re thinking of attending our next event, do it! We’ll have the donuts ready for you. After several weeks focusing on ocean scenery, the squad decided it was time to return our old faithful. The City of Los Angeles. This sunrise we agreed would be best served photographing Downtown from the Baldwin Hills Scenic Overlook. While this was not an easy location to reach, a .7 mile hike to the top of a mountain, our guests were undaunted and arrived before 5:30am. 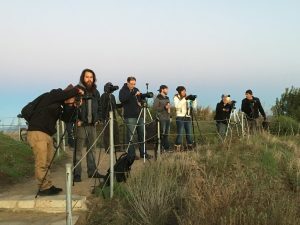 This outing, it should be noted, was the first time we have hosted more then seven photographers. 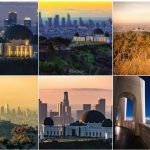 In fact 28 were in attendance to capture a spectacular sunrise with downtown LA blanketed by hazy mist, which added a dramatic twist to one of our most photographed compositions. Everyone that attended was in good spirits and was eager to join us for the next meet-up.